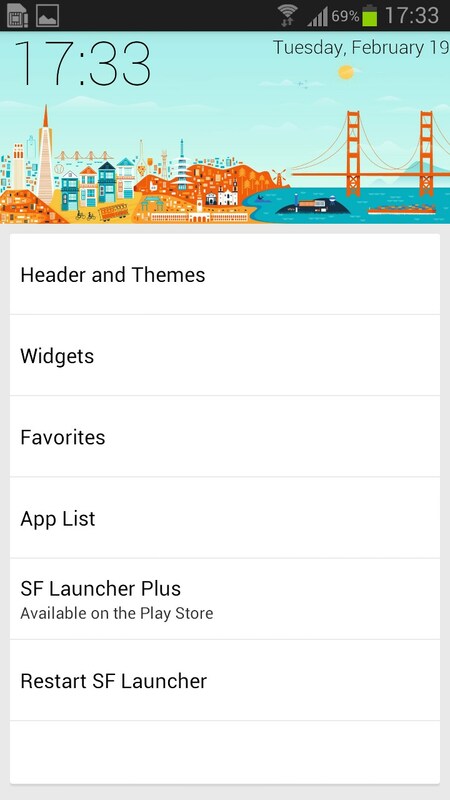 SF Launcher Beta – Soft for Android 2018 – Free download. 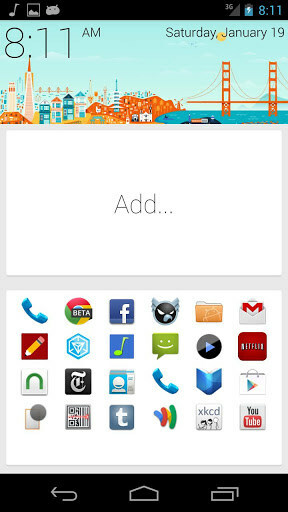 SF Launcher Beta – Interesting new shell. 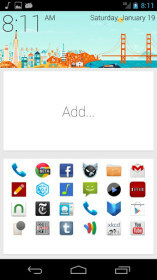 SF Launcher Beta - a rapidly shell with an interesting design that works so far only on Android smartphones. With the release of the final version of the developers promise to adapt it for tablets, but now the program looks and works very well. 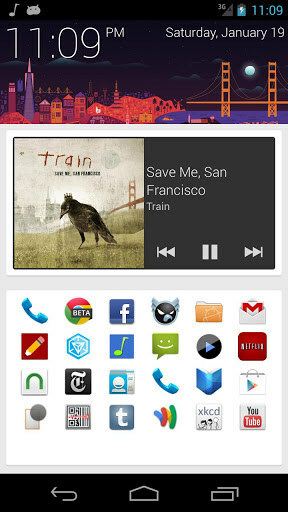 Standard shell interface in the style of the new application from Google called Google Now, which has been shown with the release of the new version of Android 4.1 Jellybean. The design concept is to split the desktop for a few fixed areas. Top desktop displays stylish rectangular watch with a date. The picture on the clock automatically changes depending on the current time. 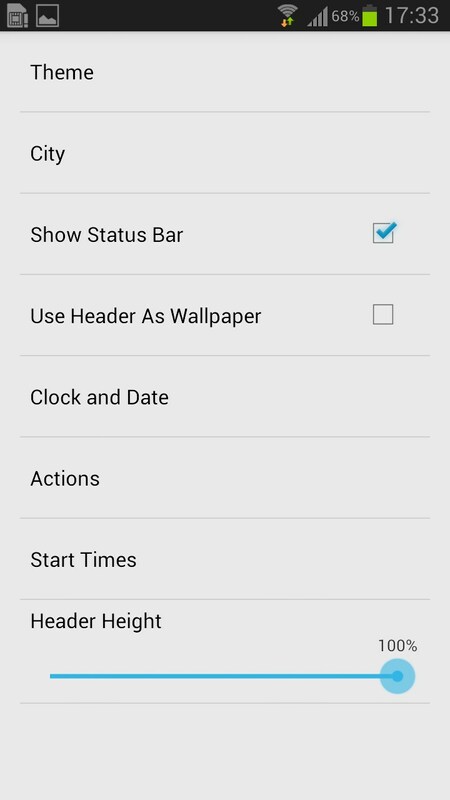 Below is a zone for the widget, which by default is oriented to the size of 4x2 widget, but if you want you can increase or decrease. 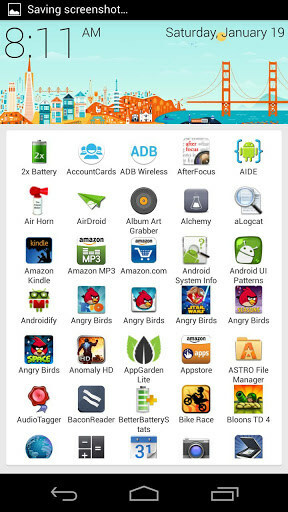 At the bottom there is a zone for the chosen application icons without titles. 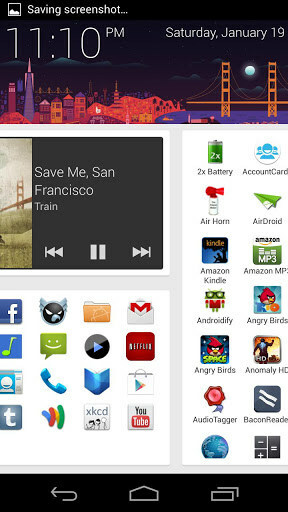 If you make a gesture on the left side of the display, we get a complete list of applications, and the clock on top are still there, they will always be on top. 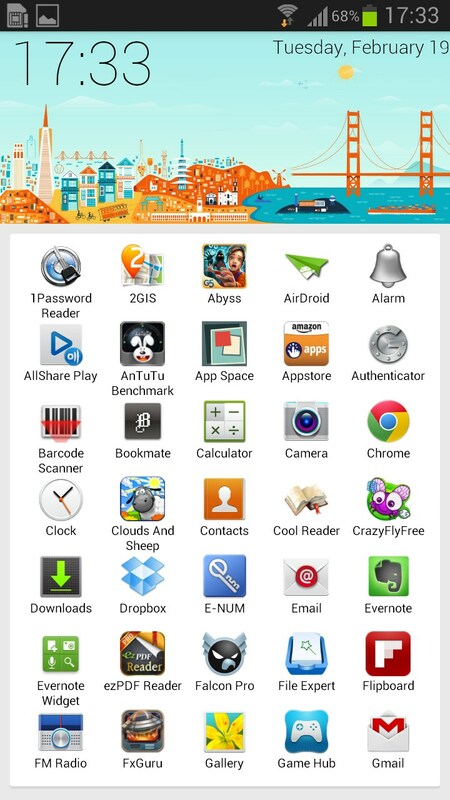 In the application, we can choose the most useful and add them to your favorites list, which is the first desktop. If you hold down the icon, you can quickly move on to removing an application, which is much easier than doing it through the settings. Panel with widgets you can browse and install any number, in this case, as I turn the widget, desktop itself remains in place. 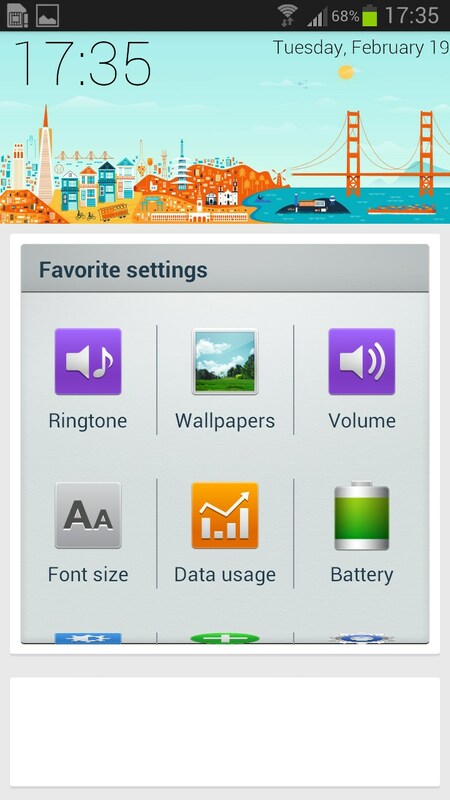 The size of the widget is set in the settings, but increasing it, we reduce the space for your favorite applications. 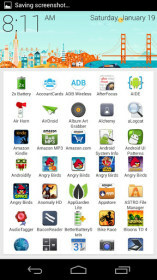 The main convenience of this approach is that now the search for the appropriate application and widget divided. And if the past had to scroll through several desks in search of some of the new game, it is now the most that you do - it's a gesture to the left. Now look at your screen. 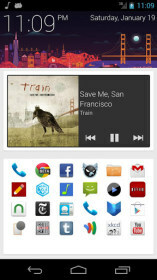 Rather, most of the space on every desk is occupied by widgets, which are not always necessary. Summary. 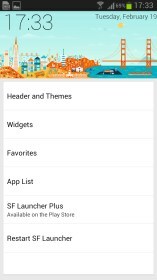 SF Launcher Beta - it is very interesting launcher for Android, and we will closely follow its development, since this concept has great potential in practical use. On Defects will not say, because most of them are definitely going to be fixed.